Families place a great deal of trust in nursing homes to properly care for their elderly relatives. Thankfully, most nursing homes and their hard-working staff members are dedicated to the health and safety of their patients. However, nursing home abuse and medical negligence can take place at these facilities, and when this happens, families are understandably devastated. 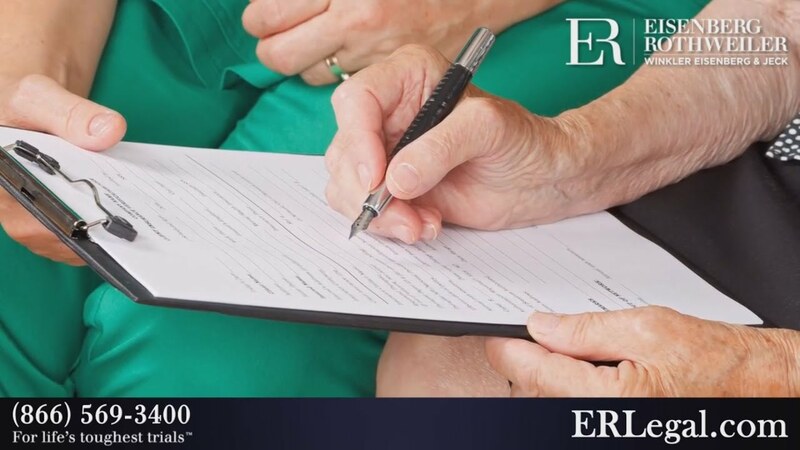 At Eisenberg, Rothweiler, Winkler, Eisenberg & Jeck, P.C., our nursing home neglect attorneys investigate claims of serious elder abuse, including the development of bedsores, incidents of medical malpractice and brain injuries from falls. Watch our videos on nursing home negligence and contact our law firm if you believe you have a relative that experienced abuse or neglect.